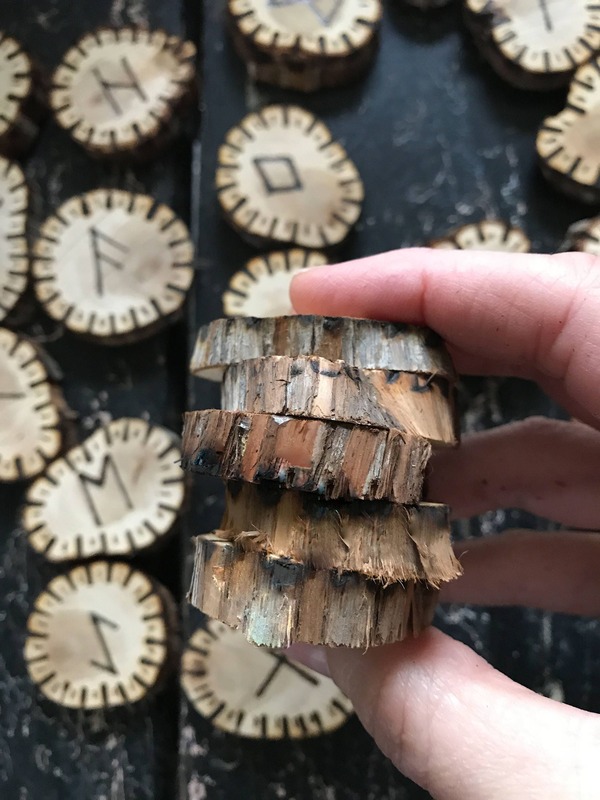 There are the best smelling juniper wood. 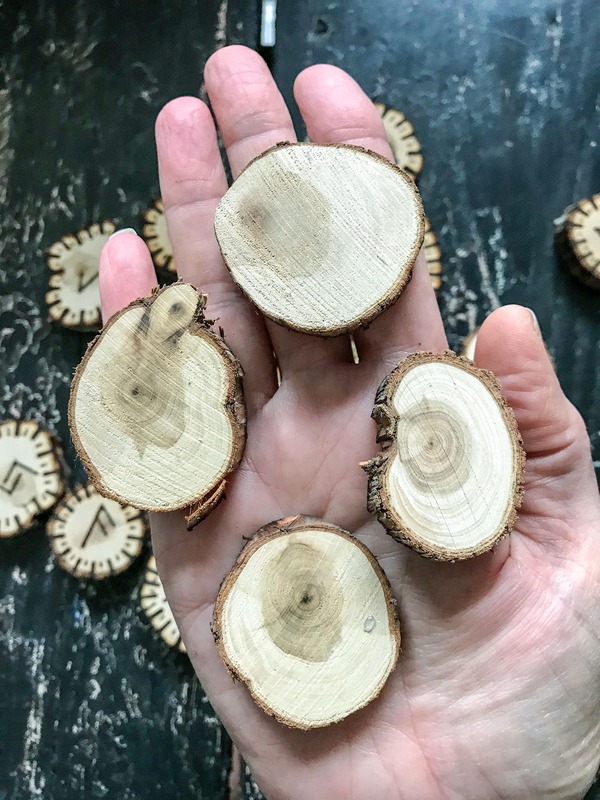 They measure in size from 1.25 inches to 2 inches in diameter. 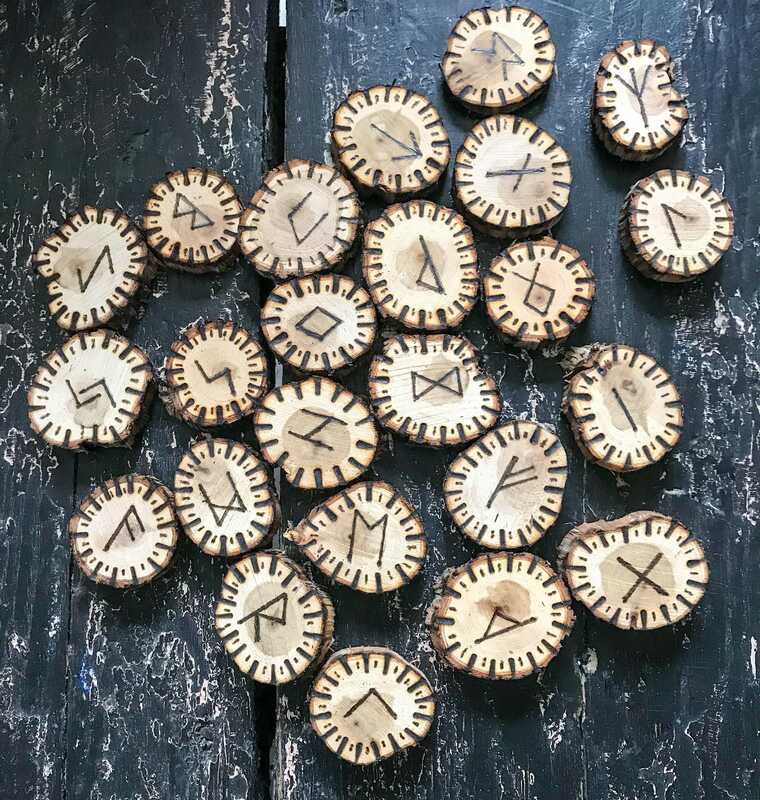 Some of them aren’t perfectly round which gives them a unique and rustic look and feel. 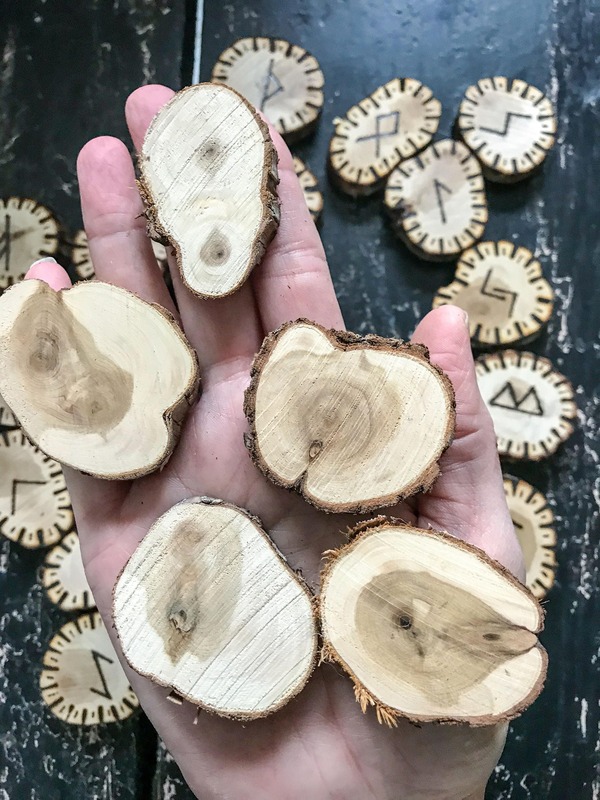 They are each a .25 inch thickness. 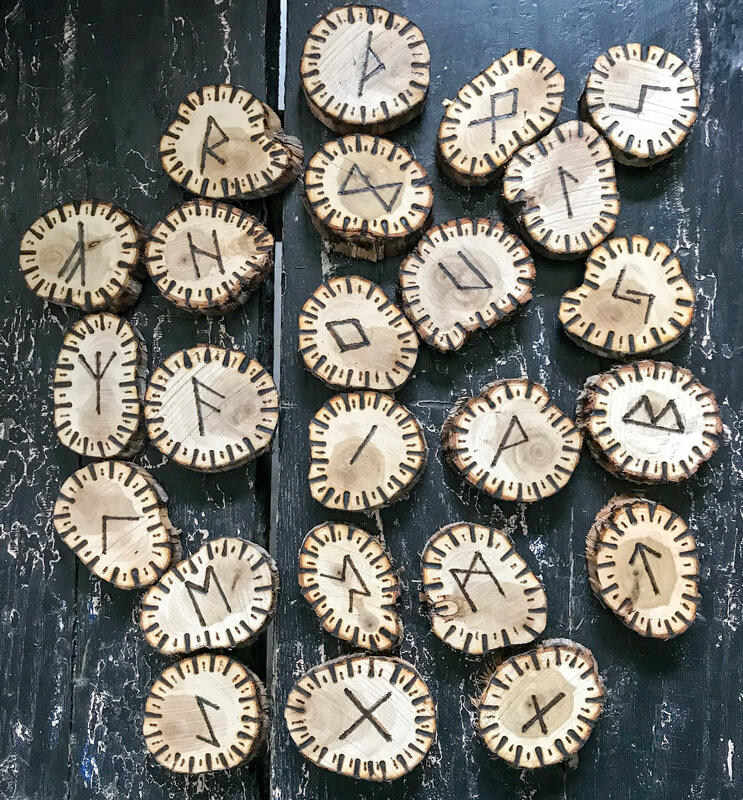 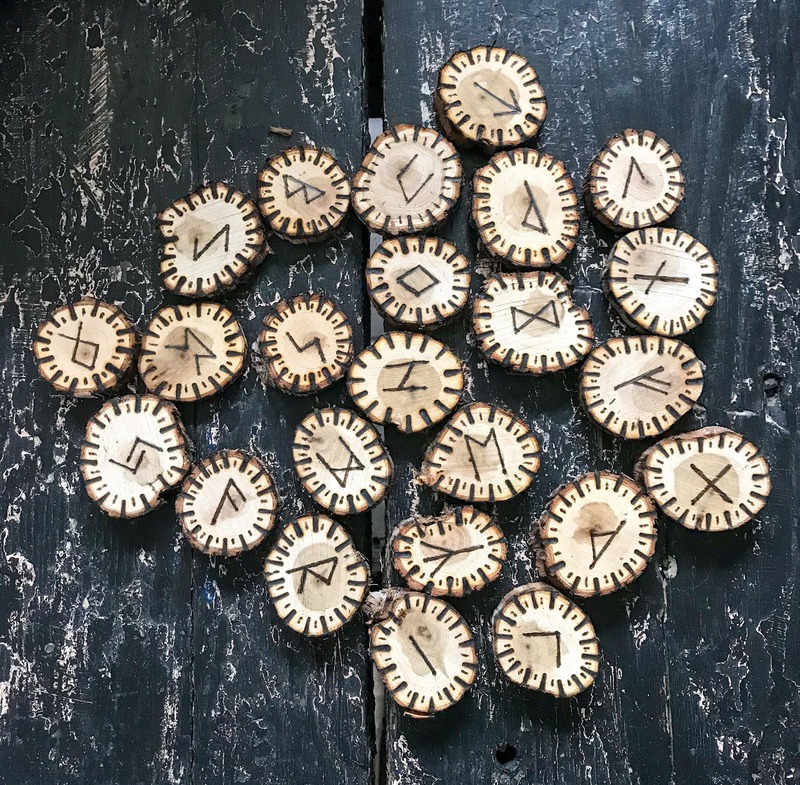 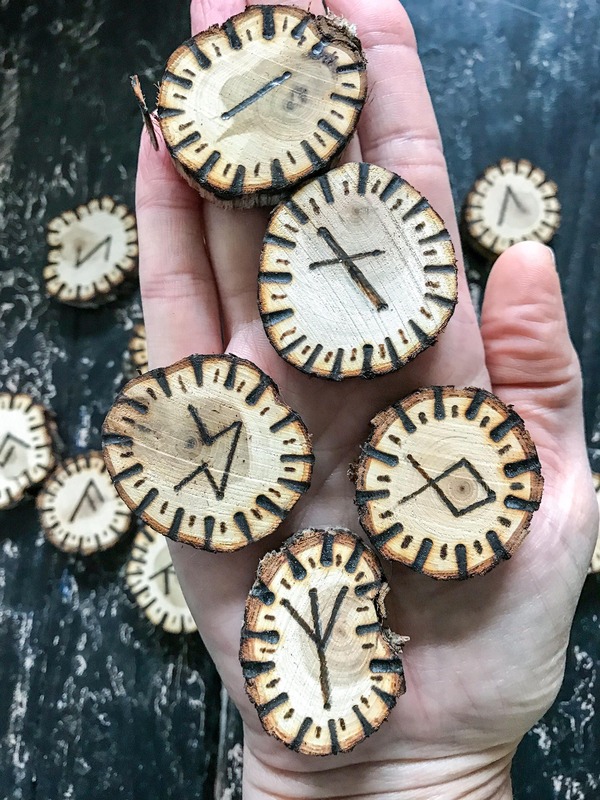 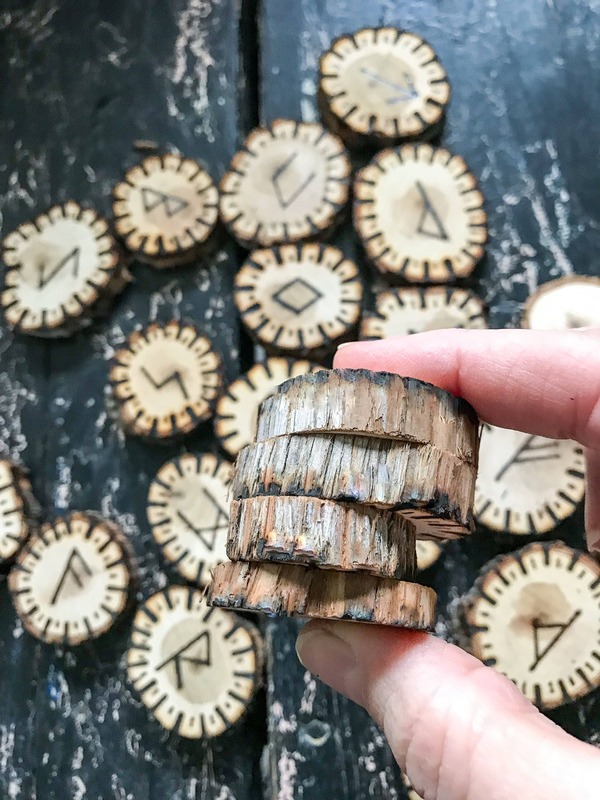 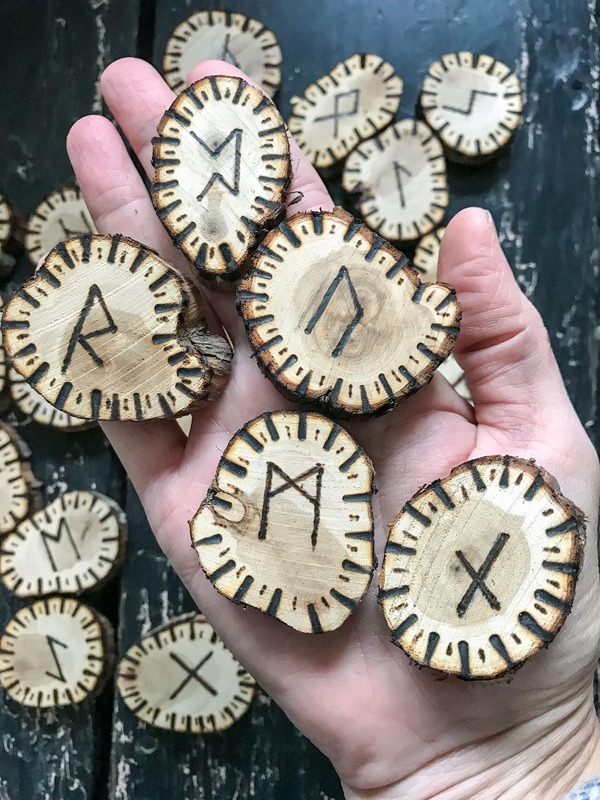 I have meticulously hand burned the runes a simple design around each one.